For ambitious, troubled architect Ray Jackson, the nightmare begins one sultry California night when his wife disappears. No phone call, no ransom note, no body, reveals whether Leigh is dead or alive. Then, suddenly, a woman shows up on Ray's doorstep demanding answers: Kathleen, an old friend of Leigh's. Ray wants answers, too, but his questions seem strange and shady to Kat. Suspected by his wife's friend and by the police, Ray launches a desperate and alarming search of his own. 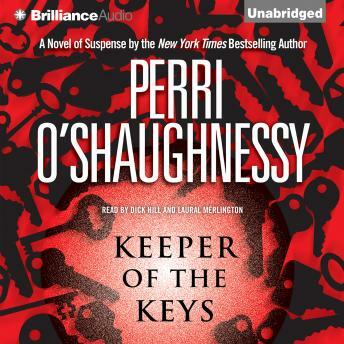 Using a collection of keys he has held on to since he was a boy - keys to homes he and his mother once lived in - Ray quietly yet boldly enters each house, one by one, hoping to unlock the secrets of his own past. As past and present collide, as a chilling mystery begins to unravel, Ray is suddenly confronted with the most agonizing decision of his life - to face his own violence-laden past, acting to prevent another horrendous act of violence, or not. His choice will leave nothing and no one the same.